Some guns are famed for their elegant simplicity, but some are notorious for their complexity. In this video, we take a look at five firearms that are overly complicated for one reason or another, with some shooting footage in the mix. It became apparent by 1940 that some kind of semi-automatic rifle with a higher fire rate than existing bolt-action rifles was needed to make the combat efficiency of the infantry better. The Wehrmacht sent specifications to the different manufacturers. Two manufacturers, Mauser and Walther, submitted similar prototypes. The design did have restrictions, however. It couldn’t have holes for tapping gas bored into the barrel for the loading mechanism, the rifles couldn’t have moving parts on the surface, and a bolt action was to be included in case auto-loading mechanisms failed. The G41(M) Mauser design failed. Only 6,673 guns were produced before they stopped production and 1,673 were returned to the manufacturer as unusable. The rifle had numerous machined steel parts and some had the Bakelite plastic handguards. The Walther design was more successful because the designer ignored the last two instructions. 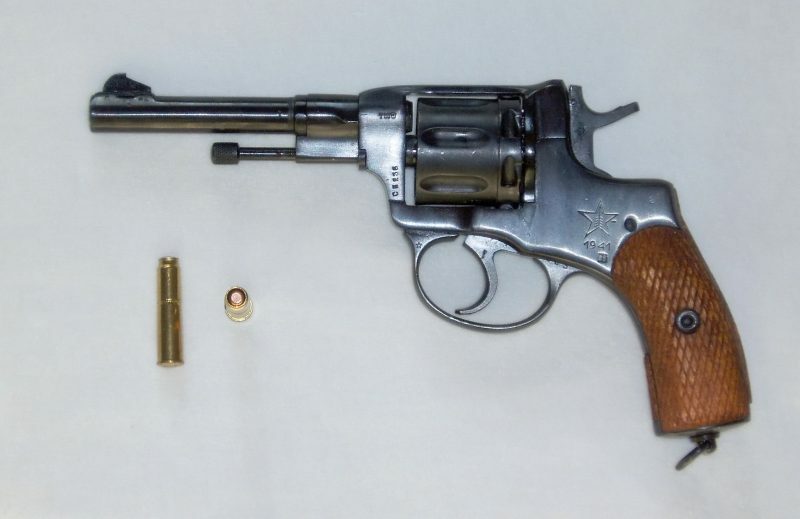 A seven-shot revolver with a gas-seal, the Nagant M1895 was designed and produced by Leon Nagant, a Belgian industrialist. Chambered for a proprietary cartridge the gun had an unusual gas-seal system that enabled the cylinder to move forward when the gun was cocked to close off the gap between the barrel and the cylinder. This design provided a muzzle velocity boost for the fired projectile and enabled the weapon to be suppressed. 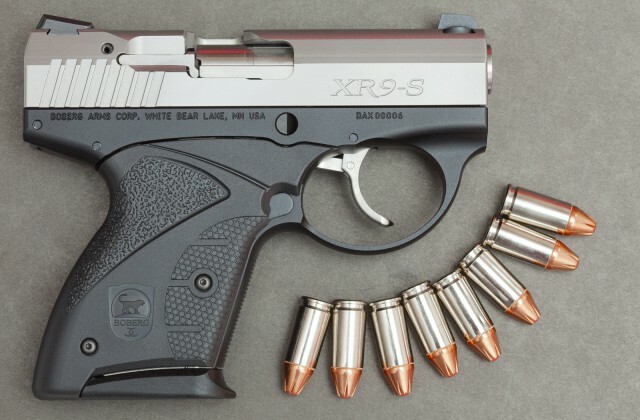 A locked-breech semi-automatic pistol, the XR9-S has a rotating barrel and is chambered in 9x19mm. It feeds from a seven-round magazine that detaches, so it differs from other pocket pistols not only because it is so small but because of the magazine construction and unique method of operation. The SIG SG 510 is manufactured by Schweizerische Industrie Gesellschaft of Switzerland. A selective fire rifle, it uses a roller-delayed blowback that is like those on the H&K G3 and CETME rifles. The Mauser C96 is a semi-automatic pistol that was built by the German arms manufacturer Mauser from 1896–1937. In fact, the grip was so distinctive; it inspired the gun’s nickname–Broomhandle. Because of this distinctive look, the C96 frequently appears as a “foreign” or “exotic” pistol in TV shows or films, and its instantly recognizable shape makes it a popular gun with collectors. The 7.63-by-25mm Mauser cartridge was the highest velocity commercially manufactured pistol cartridge when the C96 was released. It held that distinction until 1935, when the .357 Magnum cartridge was introduced into the market. Mauser manufactured approximately 1 million C96 pistols during its life cycle. At one time, the C96 was the most popular pistol of British military officers, who prized the pistol for its superior range and better penetration than other models. Many officers purchased the Mauser C96 for their private collections, but by the onset of World War I, its popularity with the British military had waned. Rifle SIG Stg 510-4” by User:Nemo5576 – http://pl.wikipedia.org/wiki/Grafika:Rifle_SIG_Stg_510-4.jpg. Licensed under Public Domain via Commons. “Mauser C96 M1916 Red 9 7” by M62 – Own work. Licensed under CC BY-SA 3.0 via Commons.